This is another lovely project made from recycled items (in this case, a silk purse and silk shirt were used). This mask is a cat-inspired shape. I have seen many cat-shapes around in stores and online, but this is my own take on it. I think it makes a fun kitty-shape (which my daughter loves) and it also can be turned upside-down to make a rather fun walrus shape too. In this case, I decided to experiment with silk. 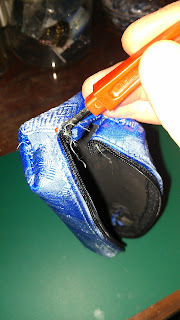 I have some silk from shirts that I thought would be fun to experiment with, and I also have found some other interesting silk items to repurpose (such as purses). 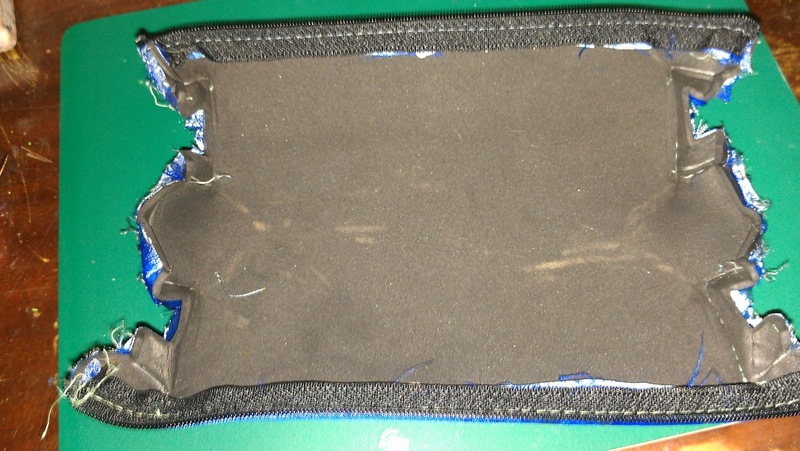 I opened the purse up, adhered it's silk to it's inner material (some sort of foam), and then adhered part of a silk shirt to the other side. I decided that I would use this simple shape to create a cat face (it also looks somewhat fox-like). And if you turn it upside down, it looks like a walrus. I just love multipurpose things!! 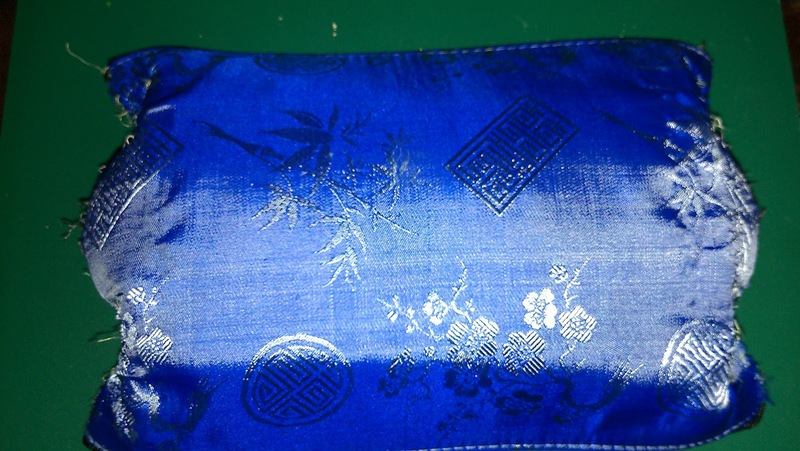 This is actually just one mask that I adhered one kind of silk (blue/chinese) to one side, and a different kind of silk (grey tiger print) on the other. I hand-sewed the edges of the mask and the eye openings with silk ribbon to give it a nice finished edge and to protect the edges. I did end up using the blue side as a fox in my finished mask. I added rhinestones for a bit of bling and sparkle and added a fun acrylic gemstone as the nose. I think it turned out pretty well - and it's now available for purchase at my storefront www.recoveredtreasures4u.etsy.com! I also decided that this mask is a bit wide in the nose for smaller faces (like my daughter in the picture). I have created a way to attach a pretty dowel so that the mask can be used on a dowel/stick or tied around the head with the silk ribbons. Either way, it's very pretty! * Please note that these are designs that I've come up with and would appreciate it if you used them for personal use only. If you've used any of my templates to create your own mask, I would love to see you've come up with! !